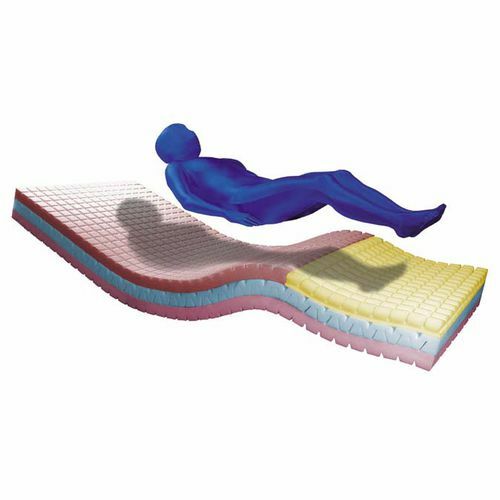 The Pre-Vent II Series® of therapeutic pressure redistributing foam mattresses is the culmination of extensive research and testing. Blue Chip Medical’s exclusive Sphere™, Reflect™ SCT™ and Multi-Flex™ designs react to body weight displacement across the entire surface. This prevents and relieves pressure sores by keeping the body in a constant state of suspension; Prevention by Suspension™. Our unique shapes together with our Med-Flex™ PPF™ foams, react instinctively to a compression set, allowing for a fully automatic, totally zoned surface. Other manufacturers’ surfaces are zone specific and must always take into consideration a patients weight, size (build) and shape. Blue Chip’s Sphere™ and Reflect™ designs act independently as its own self-adjusting, pressure-redistribution zone. 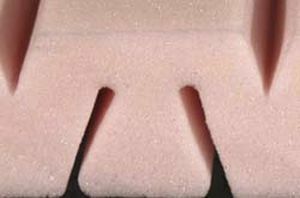 Every component of the Pre-Vent II Series® medical foam mattress, undergoes a strict protocol to ensure clinical efficacy, infection control standards and durability for the life of the mattress.